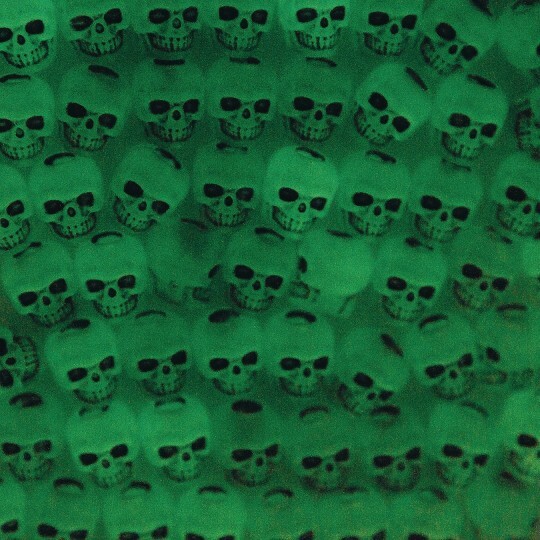 Plastic glow-in-the-dark skull beads in matte finish. Approximately 250 pieces per 1/4-lb bag. Beads are 10mm with 4mm hole. 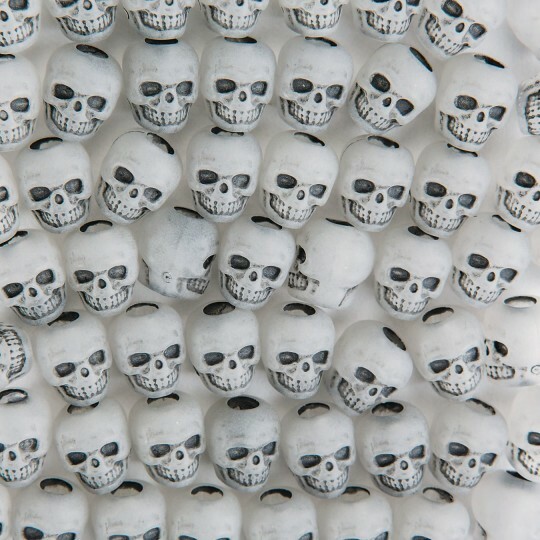 Plastic glow-in-the-dark skull beads in a matte finish. Approximately 250 pieces per 1/4-lb. bag. Beads are 10mm with a 4mm hole. Made in the USA. Use these as Ranger Pace counters. Works out great! What's better than glow in the dark? 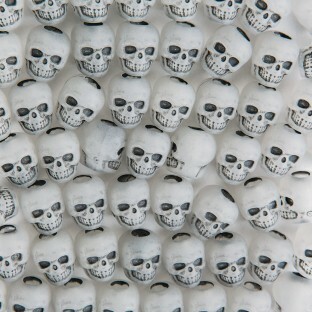 We used this for the crafts portion of our Halloween event. We also purchased the color one and the kids had a great time making their necklaces. They absolutely loved it.